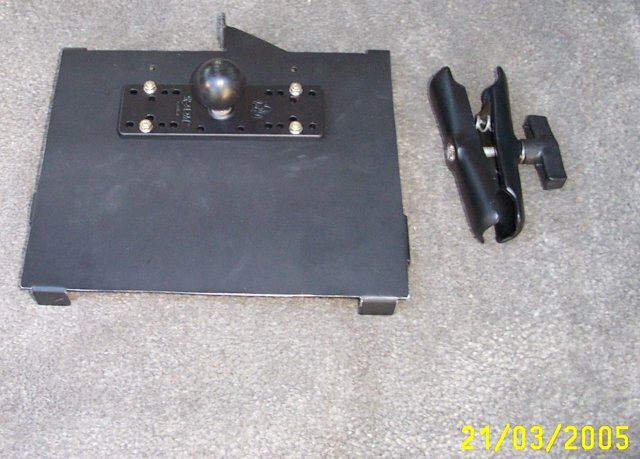 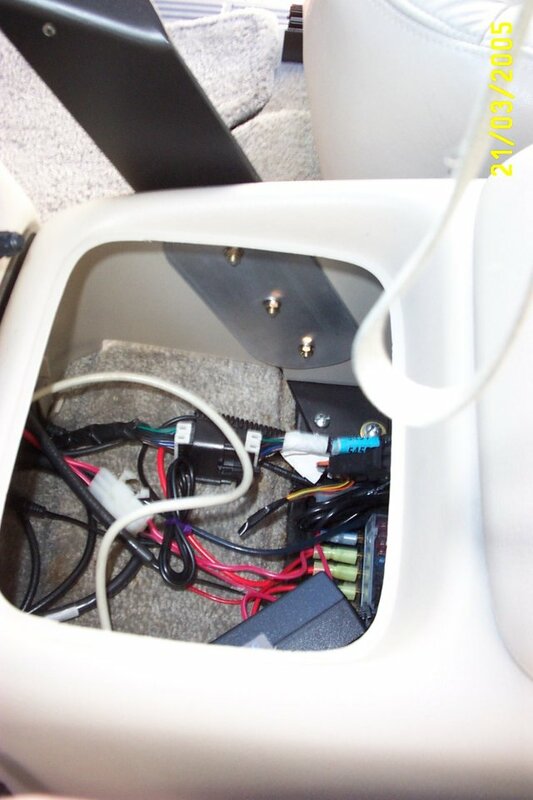 Looking into center floor console, support arm (black) on passenger side of console, inside of console shows detail of 0.062" T6061 aluminum reinforcing plate. 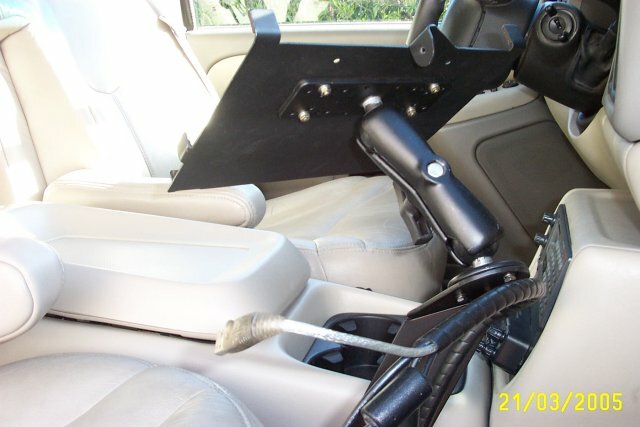 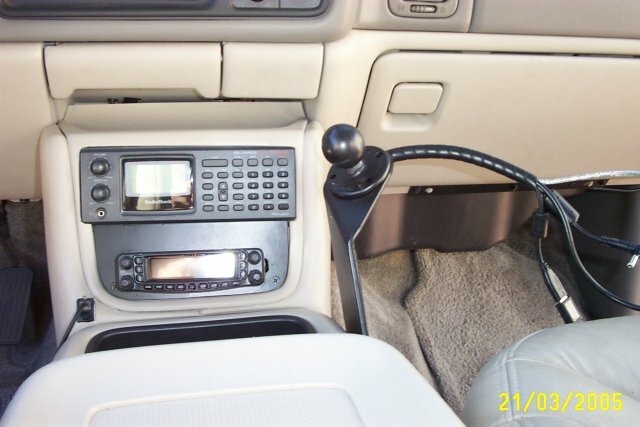 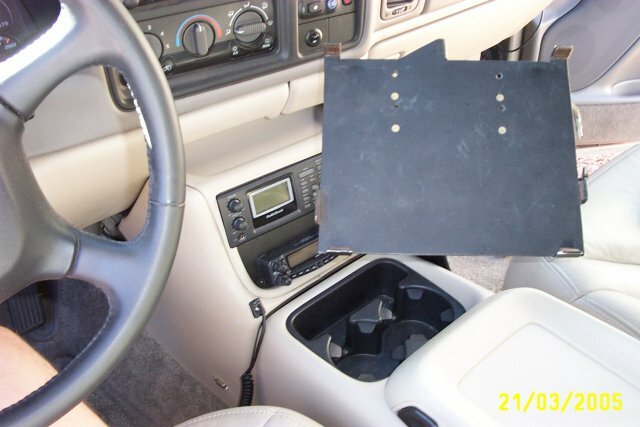 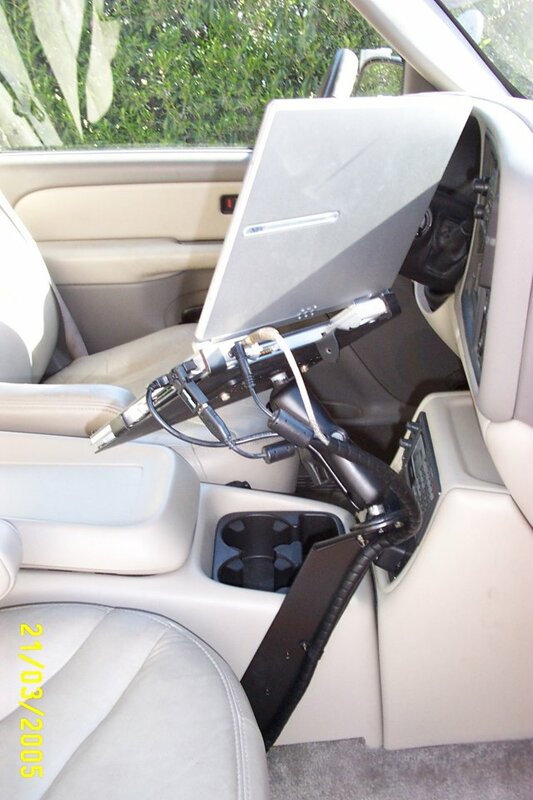 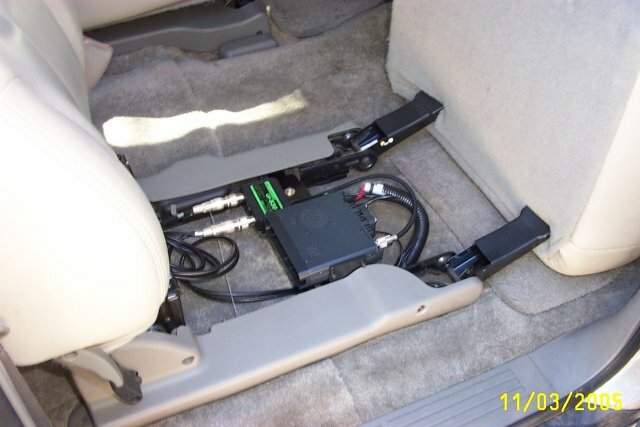 Note that foot of support arm is screwed to factory center console baseplate. 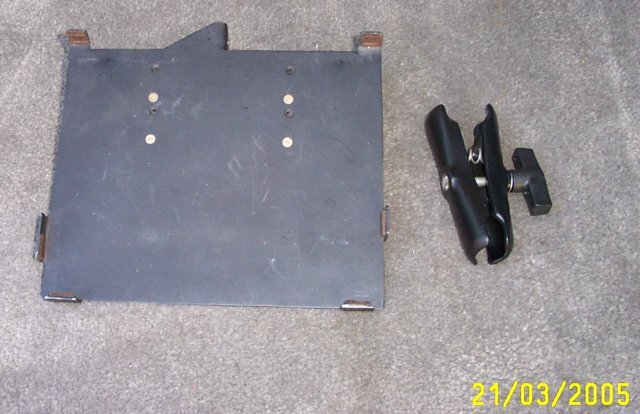 Support arm was fabricated with two bends - the one on top is approximately 45 degrees in two dimensions, while foot is 90 degrees by 45 degrees. 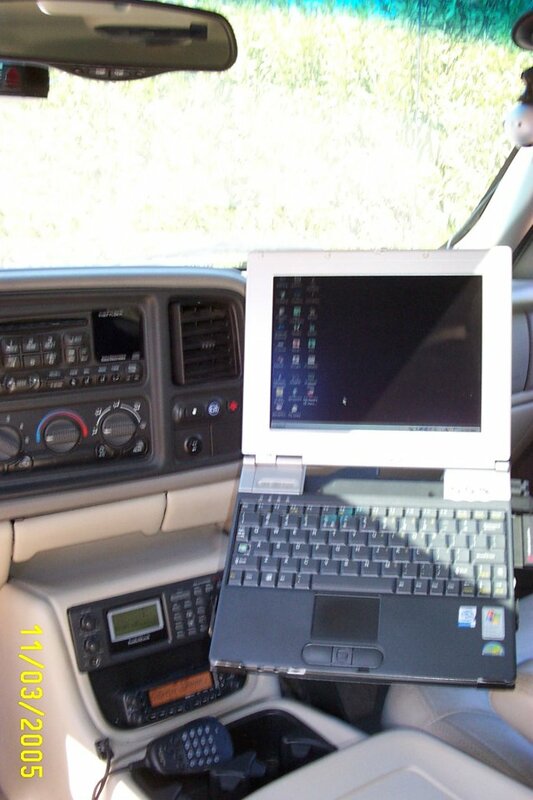 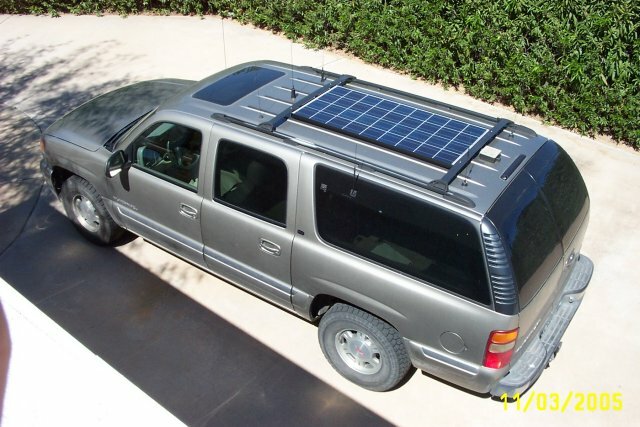 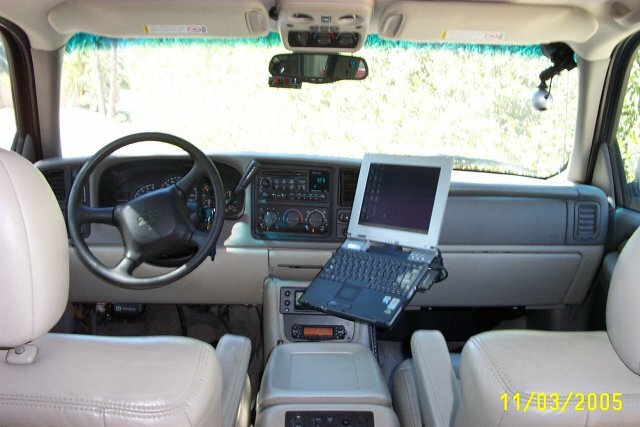 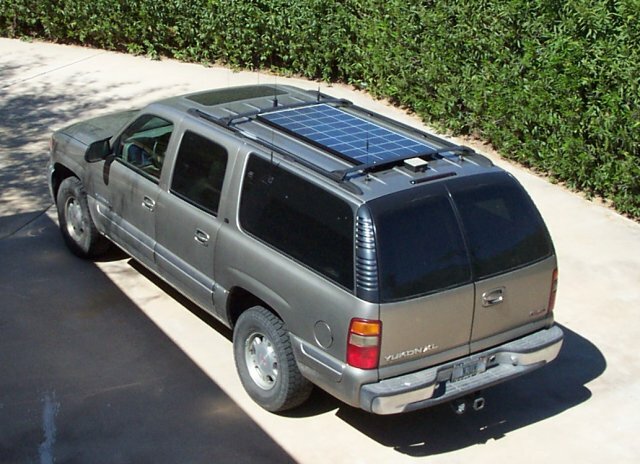 Here's a block diagram of the vehicle's electronics - No, the alarm is not shown on this, but it's a good one.